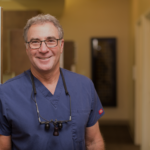 Blog | Encinitas Perio | Daniel D Roberts DDS | For Cosmetic Results in Perio. Implants. Lasers. We stay innovative and up to date on all the latest advancements in medicine, and using platelet rich fibrin from your blood is our latest advancement. Using centrifuged blood for grafting bone is not new, but the Leukocyte-Platelet Rich Fibrin (L-PRF) technique claims superiority over previous proceedures. These platelets produce growth factors in a similar way to stem cells to enhance healing. Read more about this scientific advancement here. What can you do when your gums are bleeding? Above are pics of during the treatment and a couple hours later when I was done and leaving the office. Let’s start with, you’re not alone. Bleeding gums is a huge problem most people don’t talk about. The CDC says almost 50% of Americans suffer from Gingivitis – gum inflammation, caused by bacteria in the mouth. I for one, was a terrible flosser (AKA never) and thanks to Dr. Roberts my gums no longer bleed. Of course there are many reasons your gums might bleed, like gum infection, loose teeth, receding gums, a change in your bite, etc (see CDC article above), but if you can be honest with yourself and attribute the bleeding to poor oral care, then really the only way to stop it is to have better oral hygiene. You do want to keep all those pearly whites right? Gums bleed because there is bacteria that hardens along the gum line, so make sure you’re seeing your dentist for regular visits to clean away these infection causing deposits. I didn’t for over a year and hence why they started bleeding on top of my rarely flossing. Brusha Brusha Brusha twice a day, floss away any remaining food, then use an alcohol free mouthwash to kill the bacteria. We’re after killing that harmful bacteria that is irritating and infalamming your gums. The brushes Encinitas Perio likes are the Philips Sonicare with sensitive heads (the one I bought due to cost) or the OralB Braun with sensitive heads. If you’re having trouble getting to the back of your molars they also gave me a Gum End Tuft Brush to try. Floss they recommend is the Glide Pro Health series – Gum Soft Picks are also really great for on the go or after a meal, which help me and one tough pocket I have on a back molar. For Mouthwashes you can use a Crest Multi Protection (my fav), Colgate Gum Health, or Sensodyne Sensitivity Protection product depending on your likes. Just make sure it’s alcohol free so you don’t tear up 😢. Mouthwash and flossing after brushing will be your best at home bet – you want to kill bacteria and keep it fresh and clean. If you’re looking for other quick/cheap/easy home remedies they’re out there, but they most likely won’t work alone. Up that home oral hygiene and if you don’t see results please contact your dentist. 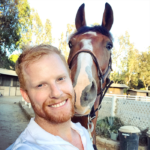 I had a deep cleaning in mid December with the LANAP laser treatment and 3 days later my gums no longer bled (they were sensitive for a few days). My mouth quickly healed and I am happy to report that I had no pain or discomfort. Now I floss and brush DAILY (jk I’d say 4-5 times a week) and already see a huge difference in my oral hygiene.